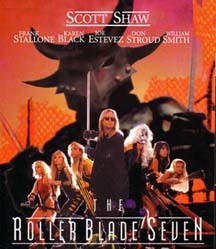 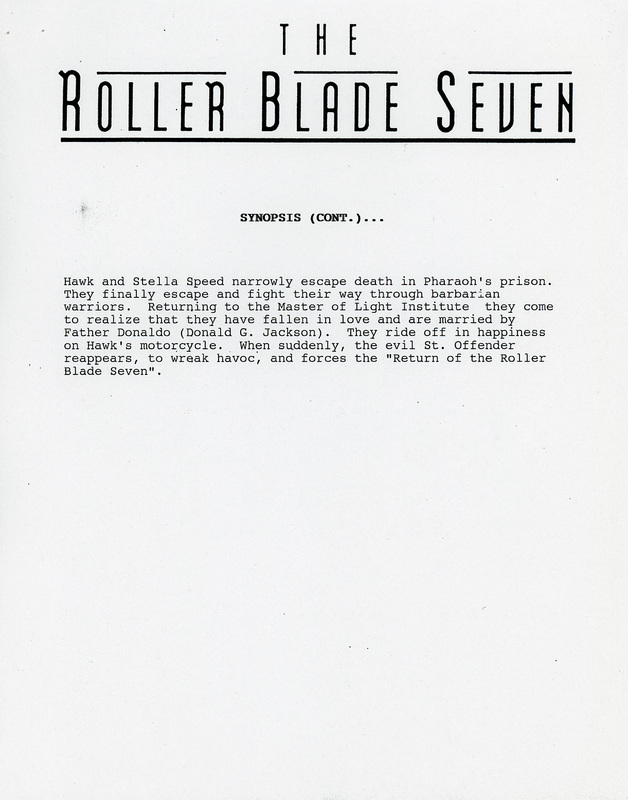 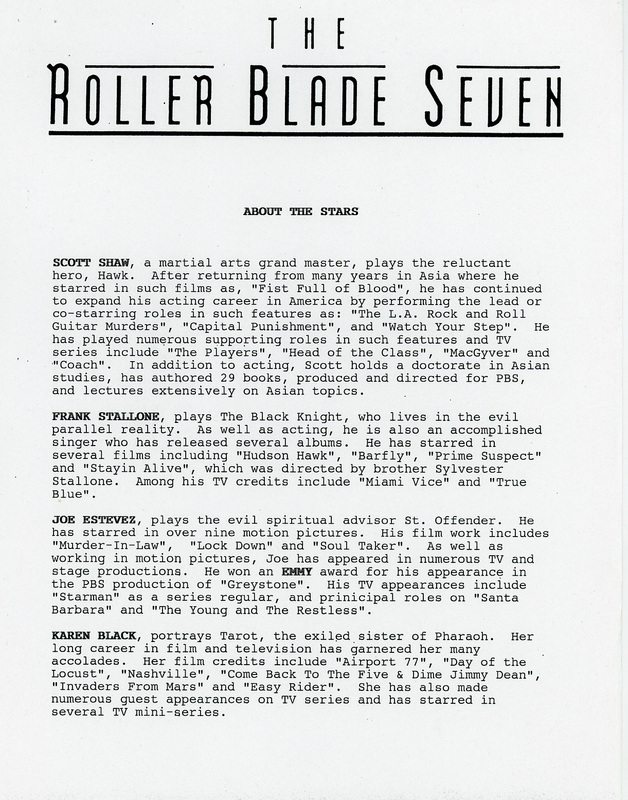 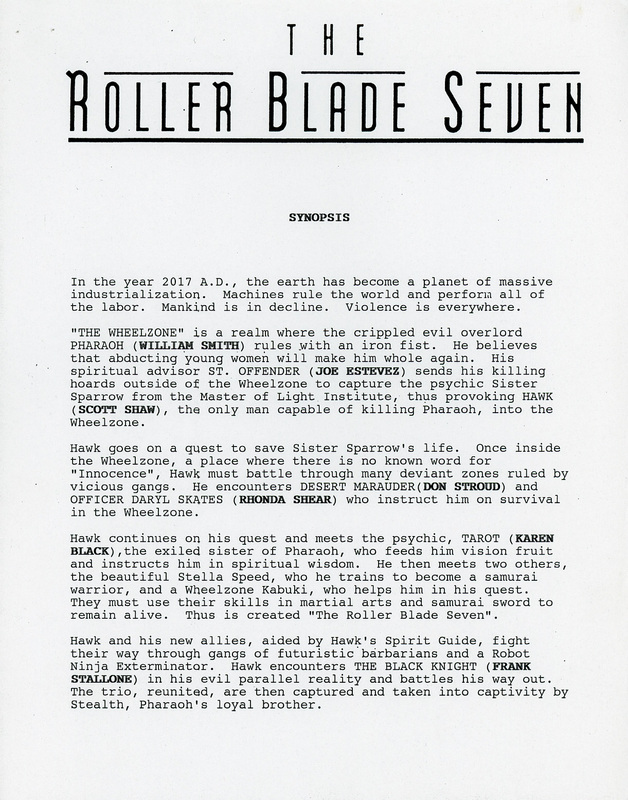 Here is the recently rediscovered original Press Release for the film, The Roller Blade Seven. 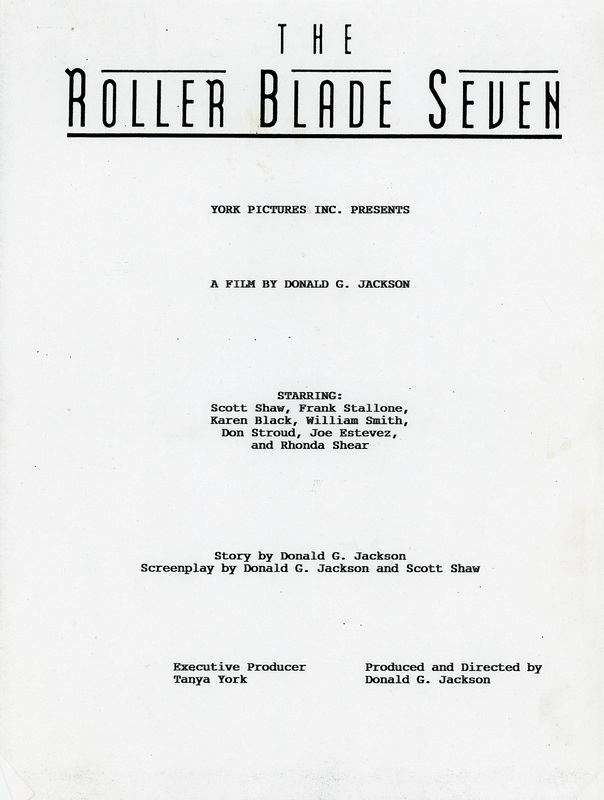 Starring: Scott Shaw, Frank Stallone, Joe Estevez, Karen Black, William Smith, Don Stroud, and Rhonda Shear. 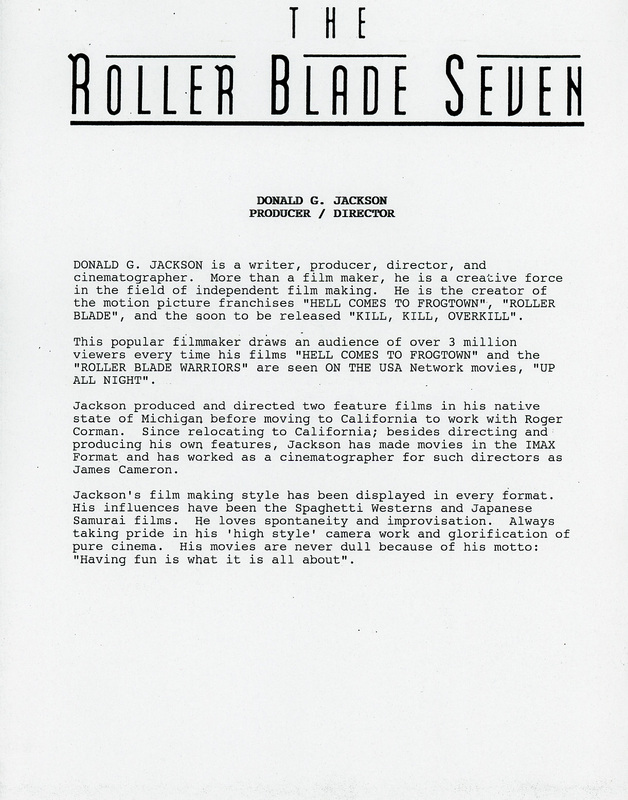 Directed by Donald G. Jackson. 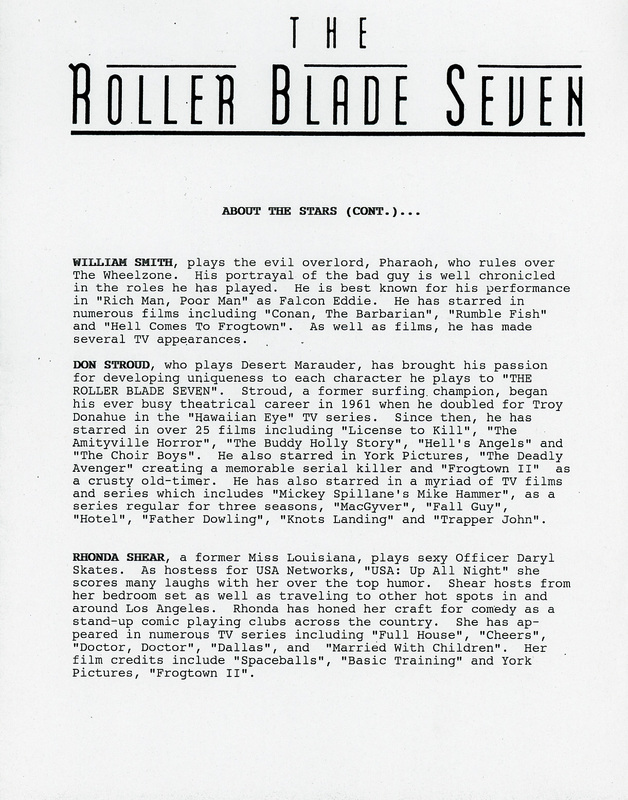 Click on the individual pages to enlarge.